Children are very innocent and they follow what they see around them. Normally, a child follows his parents’ first, then other close family member and then friends when you send him to school. Therefore, as a parent, it is your responsibility to teach good manners and discipline your child from a very small age. Good manners and good behavior are essential qualities that need to be developed since childhood. It is essential for a parent to teach their child to be more disciplined in a polite and skillful manner. Avoid resorting to yelling and scolding when your child does not obey your instructions. Children are encouraged to behave well when they see good behavior around them. Hence, the family setting and environment play a very crucial role. Whether you live in a joint family or a nuclear family, it is important that every family member understands their role and their effect on the child's life. 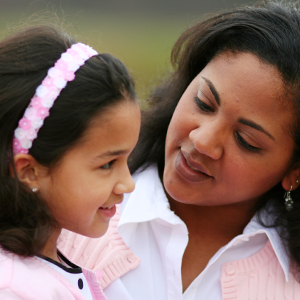 Follow these 10 positive strategies to instill good behavior in your child. Kids at a young age will learn by looking at your behavior and reaction in different situations. Young kids learn to imitate you before they listen to you. So be very careful of your actions. If parents want their children to develop good habits, they need to exhibit them first themselves. Young kids develop new likings every other day. They would love something someday and the next day they wouldn’t. It is important you understand them and their nature. This will help you improve your child’s behavior in the right manner. There is no standard way of teaching your kid discipline and good manners, but knowing the basic nature will surely help you decide the kind of approach you will have to take with them. It is very important to keep giving positive feedbacks to your child on his progress. He will not develop these habits over night. It is a gradual process and positive reinforcement is a great way to go. Mistakes and blunders will be part of the learning process. There will be a lot of rebellion too. Parents must be polite while correcting the behavior. If you yell and shout, they will think it is okay to resort to violent behavior, which is not a good habit. This is what most parents often do. “Look at Rahul. He is such a good boy!”. We all have heard it from our parents or used it ourselves. The fact is even though you never liked hearing it from your parents you continue to do the same to your kid. Comparing your children to other kids will affect their self-esteem and also mislead your kid into thinking it is only important to be like ‘Rahul’. Good behavior is a character development thing and is individualistic. Take out time to hear your children out. When you act patient with them and listen to them, they feel acknowledged. There is always a chance your patient behavior will rub on them. Every parent feels like they have a free pass to talk down on their children just because the kids are “KIDS”. Remember you are role models. When you do this you indirectly teach your kids that it is okay to talk down upon people. Not exactly a good trait. When you teach your children to be more responsible they feel that you trust them. Maybe start with the little things. Teach them to be responsible for their cleanliness, their clothes and books. Your children will want to behave good if they are rewarded. Do not confuse reward with a materialistic one. Acknowledging and appreciating their behavior is the kind of reward that will reap better fruits in the future. Table manners and using words like thank you and please need not be taught in the old fashioned way. Try and be as creative as possible to teach these manners in a fun way. There are many resources available online. Check out some of these fun videos here. Remember, you should always give freedom to your child as it is very important for his natural growth, but you should keep some boundaries as well. Guide your child in the right direction with your positive approach and polite attitude.